Azat Sh. Minnekaev was born 1958 in Ufa. Since 1993 he lives and works in St. Petersburg. 1983. Graduated from the State Institute of Arts in the city. Ufa, Faculty of easel painting. 1983 - 1993. Worked as an artist-producer at various theaters of Russia. Designed more than thirty theatrical performances. 1992. Six months he lived and worked in Alaska, as a guest of the Aleutian Islands Corporation Saint Paul, at the personal invitation of the Governor of the island of Mr. Larry Merculeff. 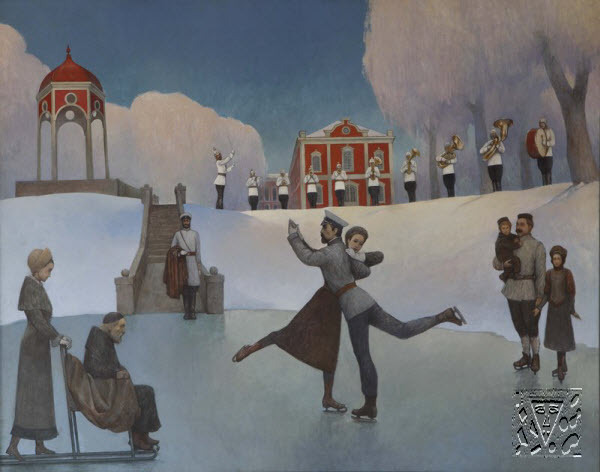 From 1996 Minnekaev member of the St. Petersburg branch of the Union of Artists of Russia. 1996, June. Received a grant from the American Foundation for the support of artists, "The Pollock - Krasner Foundation" (on tender basis). From 1996 Azat Minnekaev is engaged in book graphics. In the same year was awarded in Moscow the Diploma of the Second degree of all-Russia contest of children's book "father's house".